Akira is a dangerous man, a man who has lost everything and has nothing to lose. Fuelled by the death of his beloved wife Madeline and desperate to seek revenge on those who took her from him, Akira is on a mission, a mission to rid the world of the corrupt West and everything it stands for and he has one man set in his sights. Thomas Deane, a fiercely loyal MI6 agent and one half of an elite partnership he is everything Akira despises - a patriotic man devoted to the service of his country, no matter what the cost. Assisted by the brave S.U.C.O. agents (Special Undercover Covert Operations) the elite MI6 team, are completely unaware of what lies ahead. Will they succeed in bringing Akira out of the shadows? My name is Tim Jopling and I love any spy and espionage books, TV, or films! People always say you write about what you know and although I've never had any personal experience (I've worked in the IT sector for 16 years!) I've read a lot of novels (you can't really beat the original Ian Fleming novels in my opinion) and watched as many TV shows and films as I possibly can. I'm a big James Bond fan (not the spoofy ones, my favourites are the grittier ones with Timothy Dalton my favourite Bond - nothing to do with the name mind you!) and loved all the seasons of 24. There were a number of things that made me want to try writing. I remember several years ago when I watched one of the Mission Impossible films and a James Bond film, both of which were so poor I was convinced I could write something better! Around the same time I remember a scene in 24 with a minor character that really hit a note with me and got the creative juices flowing! Whether I've written anything better remains to be seen but I have so much fun writing stories with the Olsen and Deane characters (and the supporting characters too) I'm now working on the next novel in the series (Double Cross) and the fourth in the series as well (Judgement Calls). "Russian fanatical terrorists against British MI6, takes you on a fast paced thrilling read through many countries.This book reads easily and is so vividly portrayed that one almost feels like one is watching a movie rather than reading a book, the characters are all very well developed and brought to life and the reader feels completely involved with both sides.Terrorists made very real, their fanaticism is terrifying and their aim to put their "puppet" into Soviet power as President to destroy the West is a very scary scenario. Akira is possessed by what he perceives to be instructions from his beloved dead wife and is a cold blooded ruthless killer who will stop at nothing along with his cronies to achieve his idealsOlsen and Deane play a crucial role in the MI6 task force in their mission to thwart these terrorists. 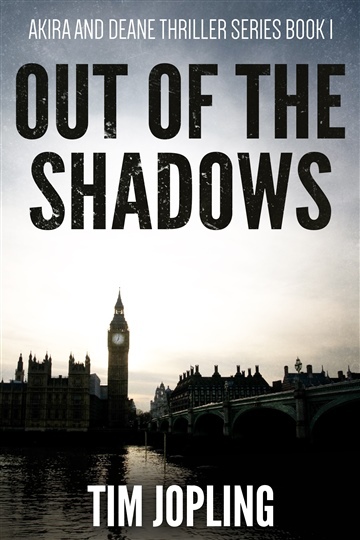 Will MI6 succeed or be brought down by infiltration and corruption within their own ranks?I guess you really need to read this book to find out! Then you will definitely be left wanting to read the 2nd book.I'm sure their will be MANY more 5 star reviews coming the way of this gripping read." "I'm a spy fiction fan, so this was always going to be one for me. If you like Bond or Bourne, you'll enjoy this - though it most reminded me of one of my favourite books series, Barry Eisler's "Rain Fall" books. Recommended if you like any of the above." "Excellent read! For anyone who enjoys action, suspense, mystery and espionage books then give this a go." "An excellent read. Had me gripped from the very beginning. Just who is Akira!"